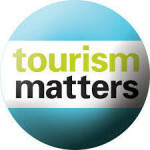 Always happy to support WA tourism, the TRCVB and the 2014 Annual Tourism Matters Meeting. When they came to us looking for a speaker who could focus on Service and Service Training, we provided them with several options, including well known Seattle hospitality consultant & speaker, Ken Batali for this members only meeting/training. Adventure? Culture? Entertainment? Savory bites? No matter what you are looking to do, Tacoma + Pierce County has you covered. But why limit yourself to just one type of activity? Check out glass art at the Museum of Glass, or make your own at the Tacoma Glass Blowing Studio. Follow the history of the car at LeMay – America’s Car Museum. Or escape from the world at Mount Rainier. Step out of your comfort zone and try them all!